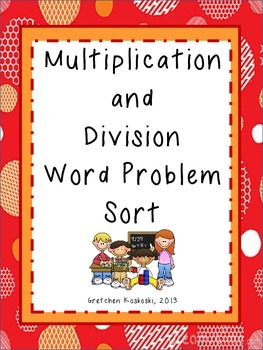 This product has students sort 10 different word problems into either multiplication or division problems. 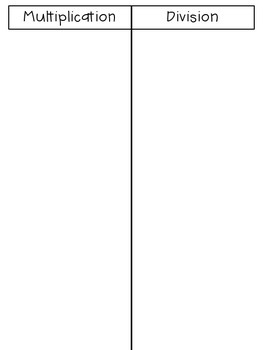 They will cut out the problems and glue them onto a T-chart that is provided. The students can work in groups, partners, or individually. 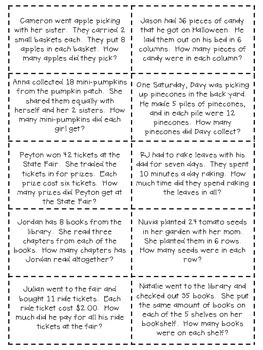 In addition to the sort, this product also contains 5 worksheets where the students can solve the word problems. 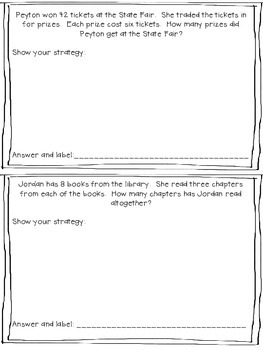 Each page has 2 word problems (from the sort), an area to show their strategy and work, and an area for their answer with a label. The more practice students have solving word problems, the better problem solvers they become.